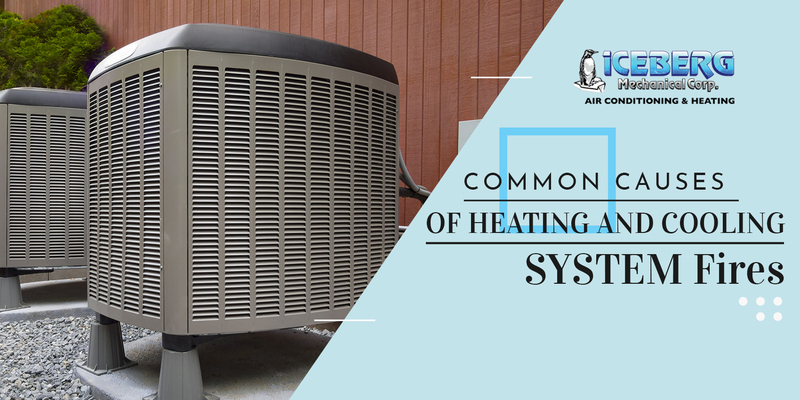 Is your heating and cooling system regularly maintained? If you neglected your fall-maintenance schedule, it’s not too late to have your unit checked today. Clogged air filters, dust accumulation in the motors and faulty parts are the most common causes of system overheating that can lead to fire. These cases can be prevented with the regular HVAC maintenance schedule. The danger of fire is too great with all the combustible materials near your heating and cooling systems. You should always put at least 3 feet distance between your HVAC systems and products like gasoline, leaves, pillows, clothing and other flammable things. Space heaters are great heating support but equally dangerous when misused. If you are using space heaters, you should familiarize yourself with the safety guidelines. This includes removing flammable objects around the device, not using extension cords, and turning the space heater off when you are going to sleep or leaving home. For wood-burning stove or fireplaces, you should pay extra attention to the combustible substance that builds up over time in the chimney. This is called the creosote. To prevent the risk of fire, be sure to schedule a professional cleaning service at least once a year, preferably before the advent of the cold seasons. When there is an insufficient amount of oxygen in the furnace, flames can roll out of a closed combustion area and cause trouble. Ventilation insufficiency often results in poor ventilation. A clogged filter and nest or yard debris outside the vents also contribute to dust build up in the flue which limits the oxygen supply. If you notice discoloration in the furnace cover, call a professional technician right away. It is always better to be prepared for any case of fire. Make sure that smoke alarms and extinguishers are functioning properly and always ready to be used. But most of all, it’s a good idea to keep your units properly maintained by certified HVAC professionals. It may sound like another set of expense, but you will surely benefit from it in the long run, especially when it comes to the safety of your family and properties. Need HVAC maintenance service right away? Call us at Iceberg Mechanical Corporation today!